Thank you for your interest in becoming a participating subscriber to our Clearinghouse. The purpose of subscriber membership is to provide an up-to-date free service TO classroom teachers FROM classroom teachers. The Clearninghouse showcases selected resources for all subject areas, grade levels, Common Core Standards, Global Education, Professional Development and many more categories. Once you have become a subscriber, you also have the ability to rate each resource from One Apple (poor) to Five Apples (excellent). In this way, as more teachers rate the resources they have tried, the best will bubble to the top. 5. 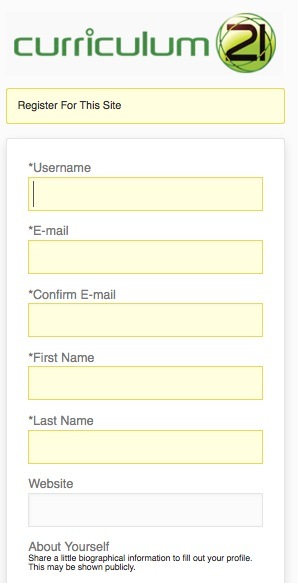 Fill out the resource by entering a title, description and choose from an available category. Then click “Save”. 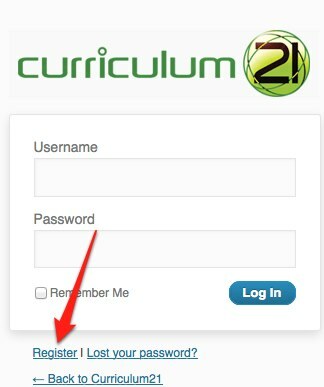 Once submitted, the link will be reviewed by a Curriculum21 team member before it gets approved and becomes visible for everyone. 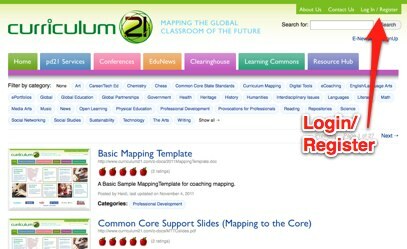 Thank you for taking the time in collaborating to create this unique resource for educators from around the world.